Sabah Borneo is growing into a big tourism industry player, offering its own unique appeal to tourists from all over the world. Whether it is the white sandy beaches, lush jungles, exotic wildlife, or a rich cultural experience that you're looking for, Sabah has all of these to offer. There are seven reasons why you should put Sabah as your next holiday destination if you are planning to go on your own or with friends or family. Number one on the list is the islands of Sabah. Sabah is well-known for its surrounding islands, making it a popular destination among tourist both from far and near. The most famous island in Sabah is the Sipadan Island which keeps attracting thousands of visitors each year. Sipadan is an oceanic island formed by living corals growing on top of an extinct undersea volcano rising 600m from the seabed. The geographic position of Sipadan at the heart of the Indo-Pacific basin puts it in the centre of the richest marine habitat in the world. There are more than 3000 species of fish and hundreds of coral species that have been classified in this rich ecosystem. Sipadan is well known for its unusually large numbers of green and hawksbill turtles that gather here to mate and nest. Among other islands worth visiting are Mabul Island, Mataking Island and Survivor Island (Pulau Tiga). If you are into sea turtles then this should be your second reason why you should come to Sabah. Turtle Park Island consists of Selingan, Bakungan Kecil and Gulisan islands. The park is a safe haven for the endangered green and hawksbill turtles. This gives you the rare opportunity to watch turtle landings. Selingan, the largest of these three islands, houses the park's headquarters, a turtle hatchery, tourist accommodations and basic facilities. The other two islands are used for conservation activities. The third reason for you to come to Sabah is that you can get up close and personal with the wildlife of Borneo. 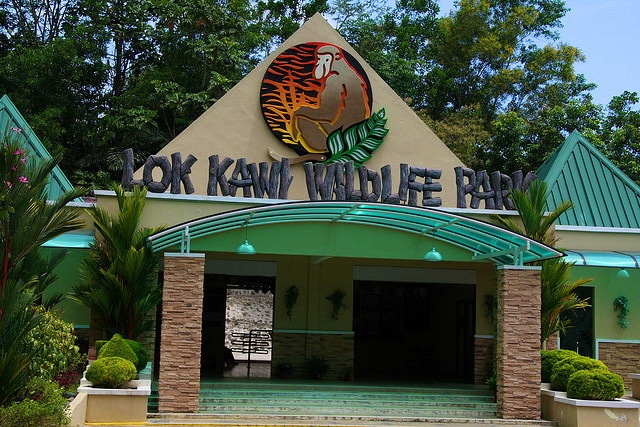 Lok Kawi Wildlife Centre offers just that. This centre consists of two components: the zoological and the botanical. The main objective of the park is to become a family-oriented park. The Borneo Pygmy elephants, Sumatran rhinoceros, Orang Utan, Proboscis monkey, Malayan tiger, as well as some different species of deer are among the inhabitants of the zoo (zoological component). The botanical component offers visitors the opportunity to go jungle trekking along the botanical trail. Other wildlife centres worth visiting are the Labuk Bay Proboscis Monkey Sanctuary, Danum Valley Conservation Area, Klias River and many others. Getting to know the various cultures here in Sabah should be your fourth reason to come to Sabah. Visit Mari-Mari Cultural Village in Kota Kinabalu where you will be introduced to various traditional homes of Sabahan ethnic communities, consisting of the Bajau, Lundayeh, Murut, Rungus and Dusun people. Do stop by at Monsopiad Cultural village, a living museum located 16 km or about half an hour away from the Kota Kinabalu, and be prepared to be teleported back to the times of ancient Borneo through the display of unique ingenious architecture, simulated lives and ritualistic ceremonies. You will also get acquainted with each village tribe as you enter their homes and experience their rich culture. There are other places to visit as well such as the Kadazan Dusun Culture Association Cultural Village, Maranjak homestay, Linangkit Cultural Village and others. The fifth reason why Sabah needs to be in your list is due to the state’s rich history. There are two well-known World War II memorials located in Sabah; the Kundasang War Memorial Park and the Sandakan Memorial Park. Kundasang War Memorial Park was one of the first memorials to commemorate the brave Australian and British Prisoners of War who died in Sandakan and during the infamous death marches to Ranau during World War II. The memorial also commemorates the people of North Borneo who risked their lives to help the POWs. The Sandakan Memorial Park commemorates the tragedy and atrocity which struck Sandakan between January and August 1945. The Memorial Park bear witness to the death of approximately 2400 Australian and British prisoners of war held by the Japanese in the Sandakan POW camp during the beginning of Allied victory in the Pacific war. There are also other historical monuments or places in Sabah such as the North Borneo Railway, St Michael’s and All Angels Church, Atkinson Clock Towers and many others for you to see. The sixth reason to go to Sabah is the famous Sabah Waterfront, your one-stop entertainment and dining centre. As you walk along the waterfront you will have a lot dining place to choose from. You could also find nice souvenir shops here if you are looking for a memento of your trip to Sabah. The Borneo Trading Post here offers a good selection. If you're looking for antique goods, head on to the Nan Hai Treasure Gallery where you can find authentic Chinese artifacts recovered from the sea. The seventh and final reason why you should come to Sabah is Mount Kinabalu, the tallest mountain in Borneo Island. Located within Kinabalu Park, listed by UNESCO as one of the World Heritage Site, thousands of tourist visit Mount Kinabalu each year. It takes two days to ascend Mount Kinabalu. However visitors would not have to worry of not having previous experience in mountain climbing. The summit of Mount Kinabalu offers a spectacular sunrise view that will make the two day effort worthwhile. So plan ahead to where you want to go when you arrive here in Sabah, Borneo. We hope that we have given you a few ideas on where you should head to. For more info please e-mail your inquiries to Cutiborneo@yahoo.com or check out the amazing package deals on our web site.